From Lookout Peak, I watched a powerful thunderstorm skirt the ridge leading to the mountain where I stood solo as sunset lit the cloudbacnk and peaks of the Wyoming Range. 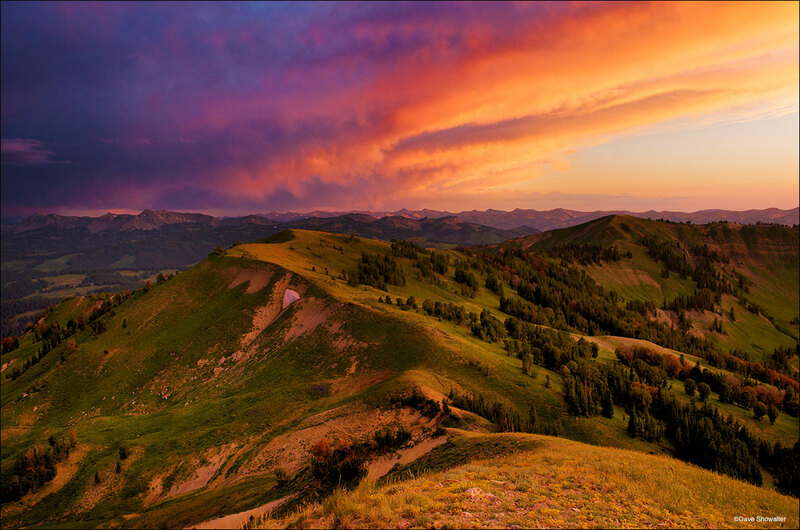 At the time, the Upper Hoback Basin in the southern Greater Yellowstone Ecosystem, was in danger of getting turned into an industrial gas wasteland. Thankfully, a strong grassroots opposition led to Trust For Public Land purchasing the leases and retiring them inperpetutiy. The Upper Hoback is protected forever! Photo © copyright by Dave Showalter.